As with all Benefit packaging, this one is quirky and beautiful all at the same time! 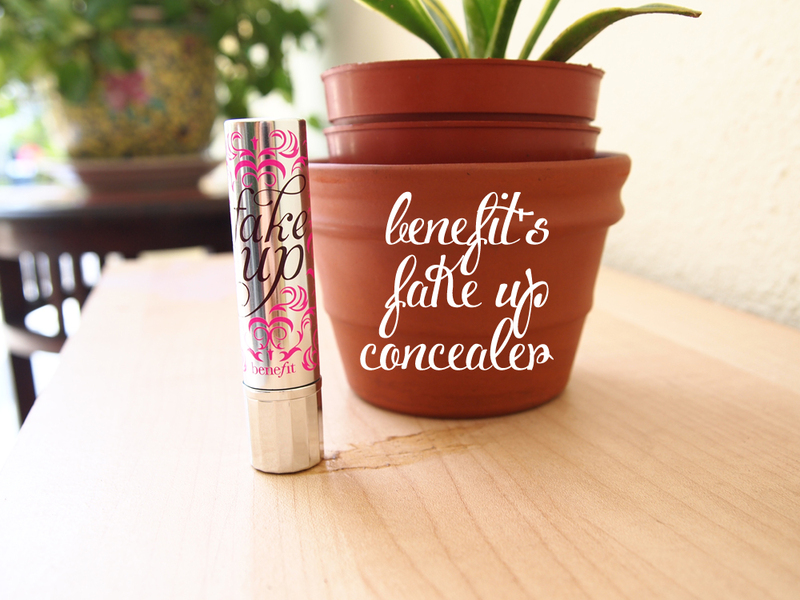 The outside is patterned in silver with intricate pink swirls and the word "fakeup". I swear that the moment I laid eyes on this product I told myself I would one day own it and proudly exhibit it (as I am doing now!). It works the way a lipstick would, just twist the bottom and the product comes out! This makes it extremely simple to maneuver and use. It is very compact and fits into any makeup pouch easily - I normally take this out when I have a long day at work, and may need to meet someone after that! Texture wise, I would say it's between a liquid and a stick. Not as rough/tugging as sticks would be, and yet not quite as creamy or spreadable as a liquid. It is very easy to blend in after, which is definitely an extra plus. Here is a swatch of it on my hand. I am in Shade 2, and am going to assume that a large majority of Singapore falls under that shade. As you can see, the color is a little bit of a mix between Salmon and Bisque with peachier undertones. This helps people within an NC 20-25 range who might be very slightly tanned. 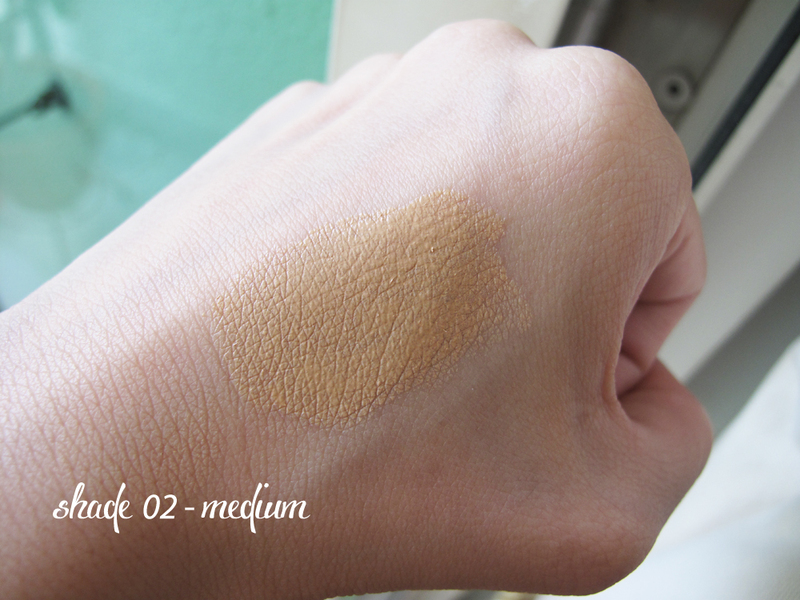 If you're fairer or use lighter shades for concealers normally, I suggest using Shade 1. If you're above an NC 30, I suggest Shade 3. You can opt to swipe it under your eyes gently, or you can opt to rub some on the back of your hand first then use your brush or fingers to pick the product up and pat it under your eye. I do both, depending on how much of a rush I am in. Above, I have provided images of how I would apply it. 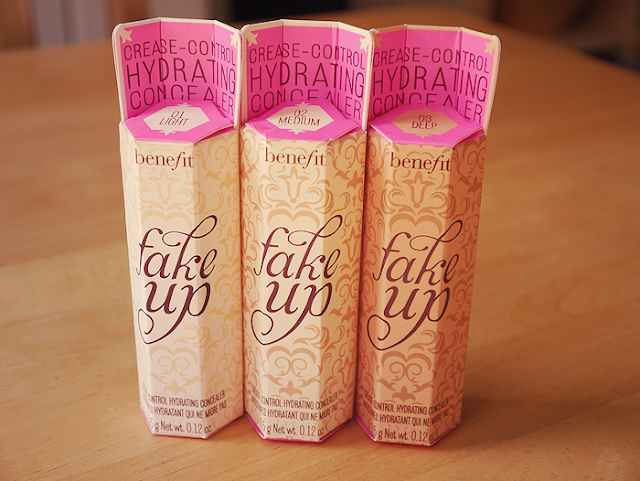 For the sake of this review, I am using just the FakeUp concealer alone and nothing else for a "true" image. In reality, I do actually layer this concealer - which goes to show that this is actually soft enough to be used with other concealers on top, and it reduces the likelihood of caking as well. I really suggest that you put loose powder on top of this concealer because it is VERY dewy and quite sticky. The loose powder will also set the color in better so that it does not migrate. As you can see, it really doesn't cover that well. My dark eye rings are, as usual, stupendous, so I do not expect something this moisturizing to cover it anyway - as many of you know, thicker and heavier concealers are actually drying, so when a concealer is mixed with a moisturizer, it tends to "dilute". Having said that... I do think it lends a very natural look. I would say this is perfect for days where you just don't want to be heavily made up, or would like to seem like you're wearing no makeup at all and have very little dark rings. It definitely brightens the face and eye area and is so moisturizing. The creasing is minimized largely as well. However, if you're just looking for a one-stop hide-all concealer, then this is not for you unless you have very very minimal dark rings. 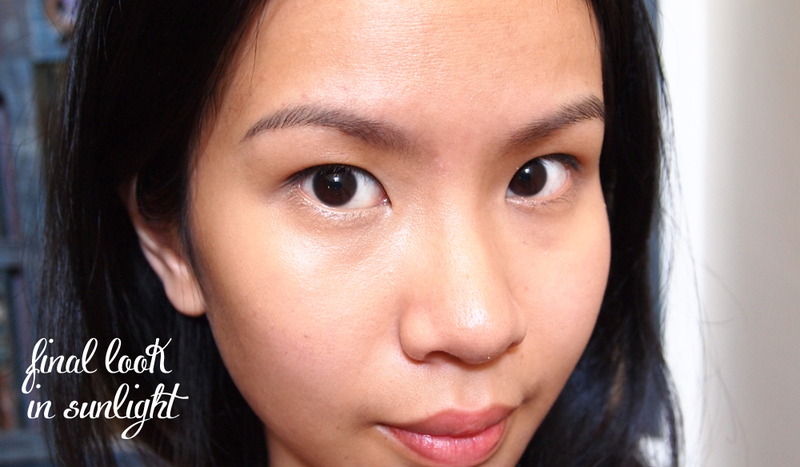 Either that or you're just sick of cakiness and are ready for just a very smooth under eye area. I did state it as one of my April Favorites (when mixed with High Beam), and you can read why here. People who like the idea of a very natural/dewy look or those with light dark rings and would like some coverage. This is difficult.. despite how much I like it with High Beam, I cannot really justify the prices only to end up using more concealer on top on bad days. It just sounds a little bit like a waste of effort and time. Don't get me wrong, I do think it is a new concept and very interesting, but my dark rings require way more coverage than that. Stockists: Any Benefit counter in Tangs or Sephora. Do you like our new "Recommended For"
and "Would I Repurchase" columns? hi Sam, have you tried K-Palette Zero Kuma Cover Control Concealer? Available at Watsons & Sasa i think... i find it very similar to Benefit, but cheaper! where can i buy this product???? The stockists are stated below.